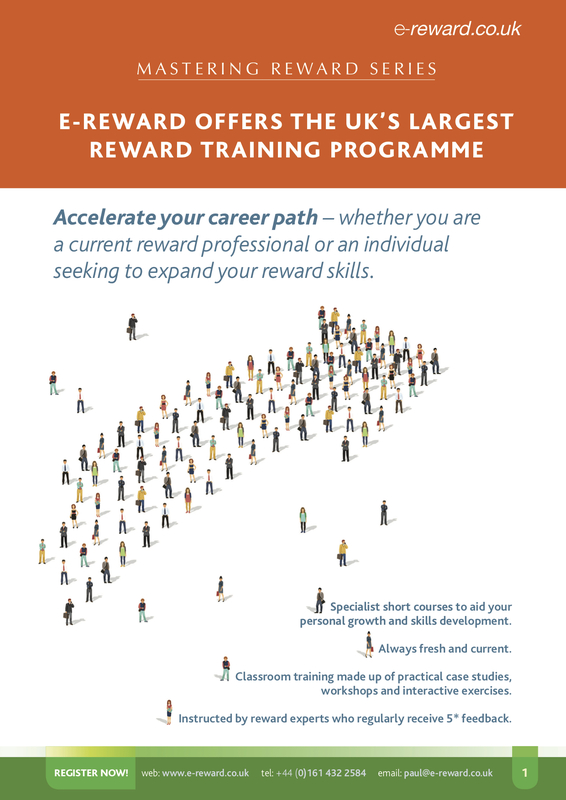 E-reward has teamed up with some of the brightest names from today's reward scene to deliver our portfolio of MASTERING REWARD training courses. Some of the courses are designed for participants new to the field of reward, while others are recommended for more experienced professionals. Our one- and two-day training courses in the MASTERING REWARD series are held in London. They are delivered by some of the most distinguished names in reward management in the UK. Our tutors will open their huge bank of knowledge and let you know how you can achieve outstanding results in reward. The course leaders are guaranteed to be some of the brightest people in reward we've ever met. Known for always seeing things in new ways, thinking of clever shortcuts to use and breakthrough systems that are easily applied, our tutors will instantly tune in to any issues you have and aim to solve them. Attending a course led by any one of our faculty will pay off, many times over.